Coming from a slacklining background, my core strength was solid. 9 minutes 23 seconds was my measured time for a ‘staff plank competition’, held at White Spider Climbing Centre. But I wanted to be stronger. Having already suffered a back injury once, I didn’t want there to be a single element of weakness in my entire core and lower back. My first 4 weeks of this experiment were spent doing a variation on the following core program, 6 days a week. The whole routine took me approximately 23 mins to complete, so I scheduled my workout to fit into my break times at work. Having the workout last for less than half an hour meant I could stick to the task more easily. Freeing up 20 minutes within 16 waking hours did not take much extra oomph. Having a bomber core to start with, coming into the process of learning a complex new skill such as climbing, meant my self-belief was reinforced; helping me achieve my final goal of sending a 7a sport route in just 16 weeks. Here’s the routine – my variation was to combine the Abs101 with the Back101 to make one big superset. My rest period remained at 3 minutes. The reasons for choosing this program: it’s fast, easy to understand, very effective and was created by a seriously strong, functional strength-demon of an acrobat. Since I started this routine, I was approached by 4 different people for advice on increasing core strength…this was the program I recommended to them and they were all stoked with it. Combine the first video with the second, then rest 3 minutes. Repeat for 3 sets. Do this 5 days a week and I guarantee in 6 weeks you will be strong! Once I had an even stronger core in place, my training took a steep turn towards the brutal. In part 4, I wrote about how having a training partner can really drive your training performance sky high. I trained with my friend Luke twice a week, for 4 weeks. Each session lasted on average 90 minutes. And by the end of each session, I was rinsed. The principles behind the Brutality Sessions, as they became known, were that the exercises had to be of an advanced level. We incorporated hard exercises that demanded a high output of muscular contraction – positions that couldn’t be held unless you gave it your all. Why? 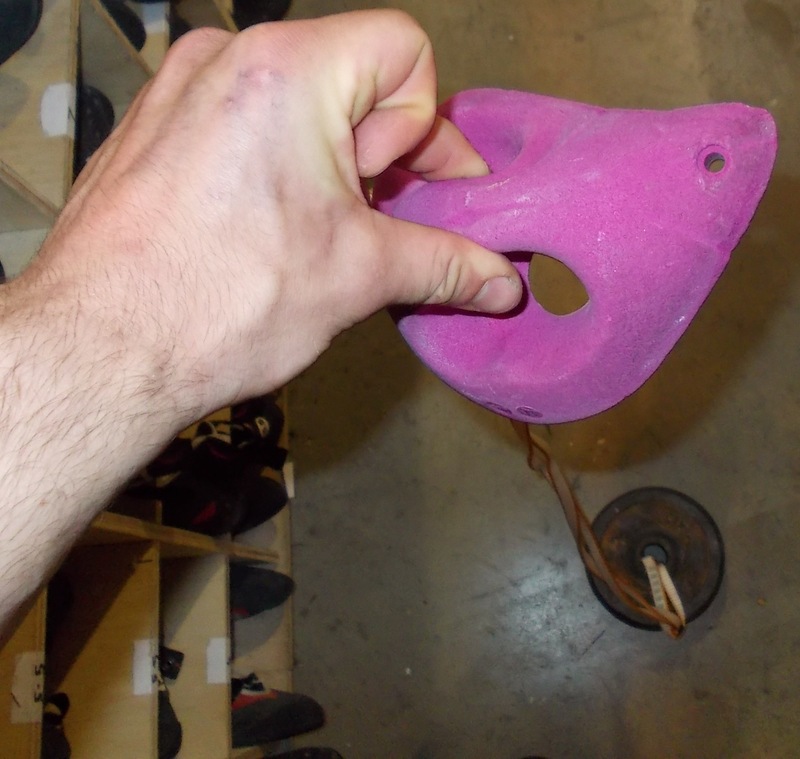 To mimic the strength required for many hard bouldering climbs: you need to be able to contract everything you have to hold that one move, or sometimes to make that send. TO HANG, OR NOT TO HANG? I noticed real gains in my full-body, climbing strength from the Brutality Sessions. The only weak-link that remained was my finger strength. But being so new to climbing, I left climbing-specific, finger-strengthening exercises alone. My finger strength increased just from the volume of climbing I was doing, however, it wasn’t quite enough. It was a little frustrating at times, but I just kept reminding myself that it wasn’t worth a tendon injury to rush into finger training. 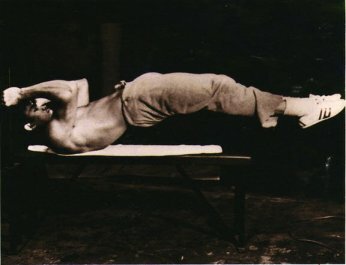 The one form of finger and grip-training I did embrace was isometrics. 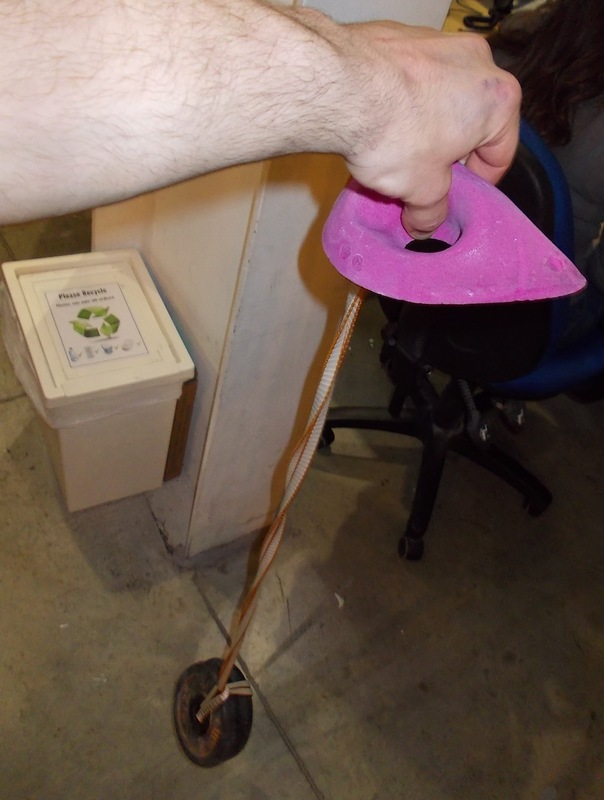 Inspired by the forearm roller, I would grip various pinch-shaped climbing holds and attach weight to them using some weight plates and paracord. This allowed me to grip the holds for time, safely training my tendons to get stronger with a much lower weight than that of my own body. Grip various shaped holds for 3 sets of 10 seconds, aiming for 100% squeeze. power! 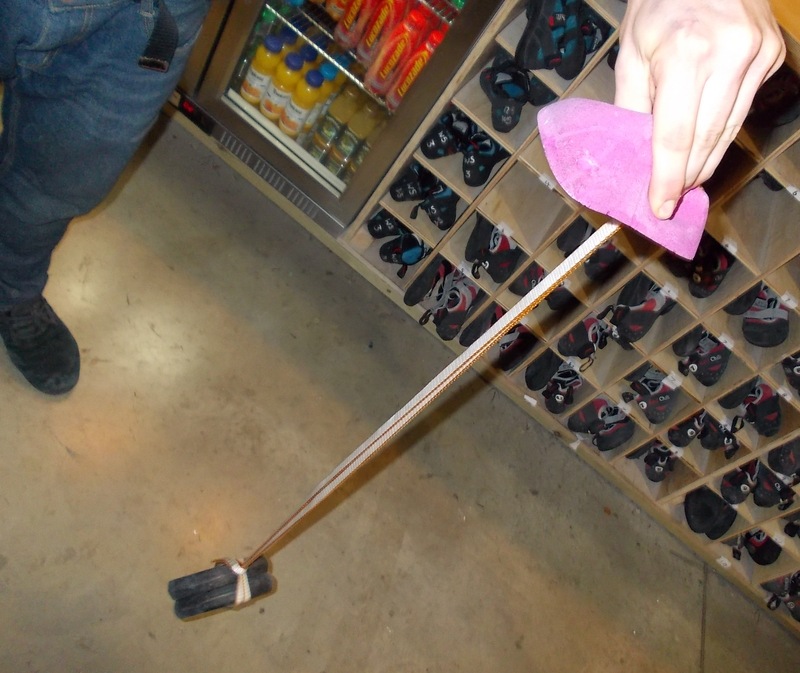 You can really get creative with your grip training in a safe way, even if you’re only a beginner. Stick to isometrics and free weights first, then progress to the hang board after your first solid 6 months of training. Most people I spoke to recommended a minimum of a year’s worth of climbing first, before moving on to campus and finger boards. This entry was posted in Self-Experimentation and tagged body building, bouldering, calisthenics, Climbing, conditioning, core, dumbbells, exercises, finger strength, grip, hangboard, harry cloudfoot, learning, learning to climb, motivation, one arm, Physical exercise, pinch, program, Pull-Up, push up, Rock Climbing, routine, strength, training, weights, white spider climbing centre by harrycloudfoot. Bookmark the permalink.